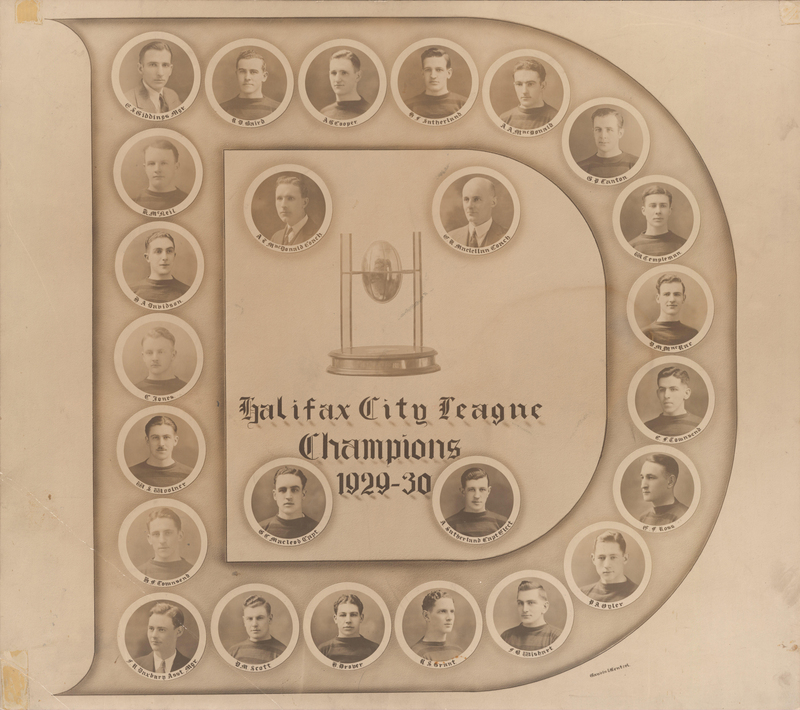 Item is a composite photograph of the 1929-1930 Halifax City League Champions. The photograph consists of portraits of F. R. Duxbury (Assistant Manager); D. M. Scott; H. Drover; R. S. Grant; F. D. Wishart; Potter Aborn Oyler; C. F. Ross; C. F. Townsend; D. M. MacRae; W. Templeman; G. P. Tanton; A. 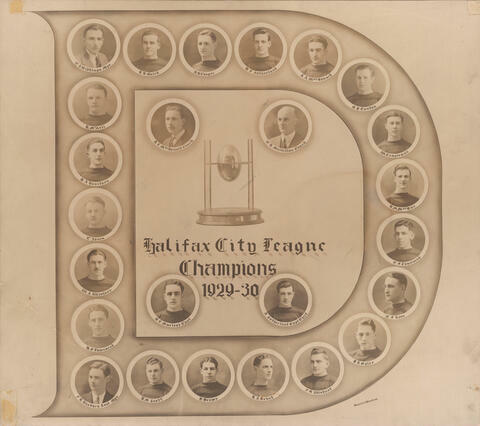 A. MacDonald; G. F. Sutherland; A. G. Cooper; R. B. Baird; C. S. Giddings (Manager); R. McNeil; D. A. Davidson; C. Jones; W. S. Woolner; H. F. Townsend; G. T. Macleod (Captain); A. Sutherland (Captain Elect); C. R. Maclellan (Coach); and A. I. MacDonald (Coach) arranged in a large letter "D", around a photograph of a trophy. The photograph is faded and the lower left corner is bent.